Come see our full line of products, check the quality for your self. 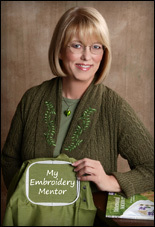 Meet Creator Donna Kotzer & Embroidery Mentor Deborah Jones. See the new coming products.